← Retina Consultants Of WNY teams up with Sisters Hospital & St Joseph Campus. Dr. Faruk M. Koreishi, a nationally recognized eye surgeon with a practice in Niagara Falls, Williamsville and Orchard Park retired Friday August 1st 2015, after 40 years of service to the Western New York community. The first physician in the Western New York area who restricted his practice to diseases and surgery of vitreous and retina – repair of damaged vitreous and retina in the back of the eye – Dr. Koreishi established the Retina Consultants of Western New York in 1975. Today the practice consists of four other retina specialists, who will be taking over the care of Dr. Koreishi’s patients. Among his many accomplishments, he performed vision-saving surgery on former Buffalo Mayor Anthony Masiello in 1999. If left untreated, Masiello would have likely lost his vision. He has also treated professional boxers, artists, and coaches from Buffalo professional sports teams. Through his technical skills as a surgeon, Dr. Koreishi has helped thousands of people in Western New York maintain and improve their eyesight. The news of his retirement spurred congratulatory letters of appreciation from both Congressmen Brian Higgens and Chris Collins. Mayor Byron Brown also declared July 31 as “Dr. Koreishi Day” in honor of his retirement. Dr. Koreishi is a nationally renowned fellow of the American College of Surgeons. He is a member of the New York State Medical Society, the American Academy of Ophthalmology, and the Buffalo Ophthalmology Society. 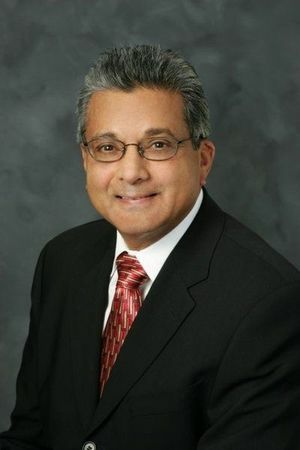 He has also served as the President of both the Asian Americans Physicians’ Association (AAPA), Erie County Medical Society and the WNY Ophthalmology Society. He is also an active member of the Islamic Society of Niagara Frontier, the Family Justice Center, and the Coalition for the Advancement of Muslim Women. Over the years, Dr. Koreishi has been recognized on several occasions for his distinguished contributions to the healthcare industry. He received the 2014 Ross Eye Institute Community Ophthalmologist Of The Year Award, and in 2012, he was awarded Physician of the Year by the Asian American Physicians Association. He was also presented a human services award from the Muslim Public Affairs Council. Dr. Koreishi resides in North Buffalo with his wife, Dr. Aziza Karimi, a Child Psychologist. They have been married for 46 years and have 4 children who are all doctors. They also have three grandchildren. He plans to spend his retirement with his family, traveling, and enjoying his passion for photography and religion. Article originally posted in the Niagara gazette. We wish Dr Koreishi all the best. Our entire staff loves him and we will miss him dearly. He has had a profound effect on our lives, the lives of our families and most importantly the lives of his patients and the community. May all your future endeavors produce the same results and more.